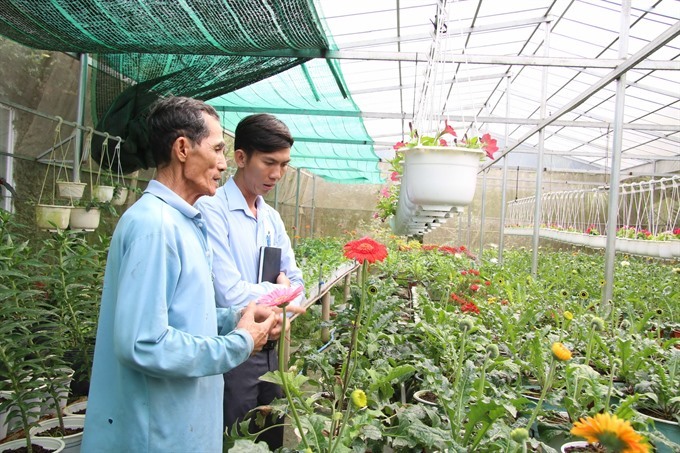 CẦN THƠ — The Mekong Delta city of Cần Thơ plans to provide training in agriculture for at least 1,400 people in rural areas this year, focusing mostly on crop cultivation and animal husbandry. Of the figure, 25 per cent will be reserved for people covered by the Government’s preferential policies for contributions to the country’s revolution, those with disabilities, poor people, and women who lost their jobs, according to the city’s Department of Agriculture and Rural Development. After completing the training, the trainees will have adequate knowledge and skills to do agricultural work effectively with at least 85 per cent of them getting jobs. Speaking at a recent meeting, Nguyễn Ngọc Hệ, Director of the department, said the city was changing its agricultural vocational training strategy from basing it on the capacity of training schools to demand from workers and the market. The department and the Department of Labour, Invalids and Social Affairs would revamp training to improve quality and effectiveness this year, he said. They would create favourable conditions for rural workers to learn vocational skills appropriate for their education level, economic situation and requirement, he added. This year they have instructed vocational schools to provide counselling on agricultural training to secondary and high school students and advocate through the media and social organisations to improve workers’ awareness. They have also urged them to diversify their training methods, including providing courses for workers based on agricultural companies’ needs and organising training courses at companies and craft villages so that trainees can both learn and work at the same time. Last year, the city provided training in agriculture for more than 1,000 rural people, 3 per cent more than it had targeted.